Recently, a good friend and a priest whom I respect very much, asked me just WHY the deacon should be the person who chants the Exsultet at the Easter Vigil. “The rubrics permit someone other than the deacon to sing it, so why not just get the person with the best voice to do it? Tell me why the deacon should do it!” This reflection is an attempt to respond to those questions. In light of world events, this may seem like little more than “insider baseball,” matters that might be of passing interest only to those concerned with liturgical history and precision rather than things that truly matter. After all, when people when people are being martyred simply for being “People of the Cross” (as their executioners called them), what difference does it make who sings a long chant to a candle in a darkened church the night before Easter? I’ve decided to offer this reflection, however, because I think there is so much more than simply worrying about the niceties of who gets to do what during the Easter Vigil. In particular, we should reflect on why the Church has long called upon her deacons for this responsibility. As one commentator summarizes, “From the time of Saint Jerome, when deacons composed their own poems in praise of the candle, to the later Middle Ages. . . , the blessing of the Easter candle was the high moment of the deacon’s year.” (Margaret B. Freeman, “Lighting of the Easter Candle.” Freeman was a curator of Medieval Art at the Metropolitan Museum of Art). We Catholics are, of course, a people who value sign and symbol, who attempt to express the ineffable in any ways available to us. We still wear vestments that date back to the Roman Empire, we still use ancient prayers and rites, and our sacred texts reflect God’s relationship with humanity going back nearly 4,000 years. We believe that the living God continues to be present in our world, the world that God created, and that God communicates with humanity through other persons and indeed through all of His creation. We Catholics love to use so many signs of God’s creation as conveyors of God’s meaning: bread and wine, water, oils, fire, light, darkness, and color. We use outward, visible signs to communicate inward, invisible reality. Nowhere does this sacramental world view find deeper expression than during the sacred Three Days, the Triduum of Holy Thursday, Good Friday, and Holy Saturday, which all lead to the glorious Easter Vigil itself. I have often told people that if they want to find out more about WHAT Catholics believe and HOW we believe, they should come to the Triduum. At the end of the Good Friday service (never a Mass; to celebrate Mass on Good Friday and Holy Saturday is forbidden), everything extraneous is removed from the sanctuary, and the tabernacle has remained empty since Holy Thursday. 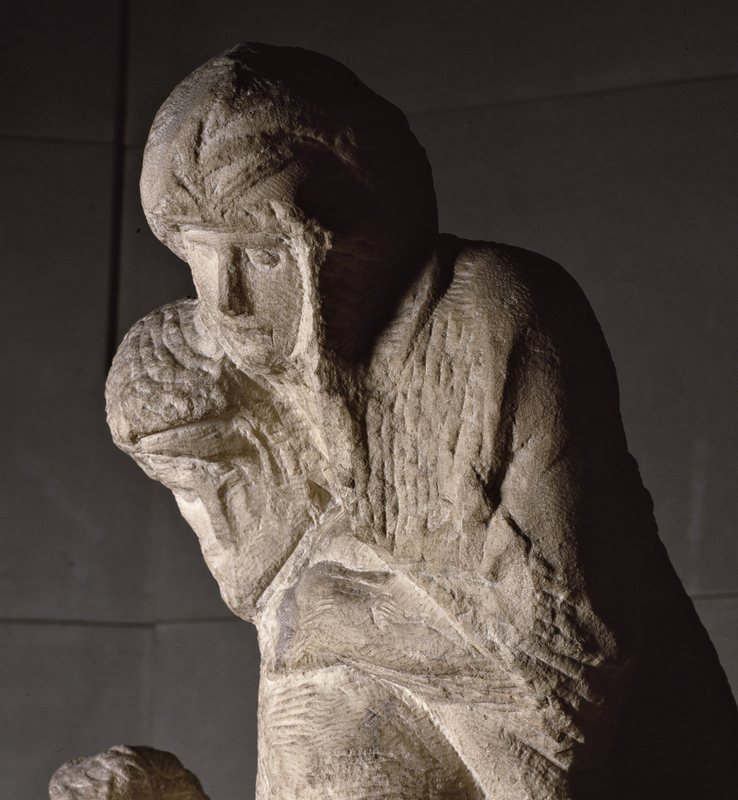 This is a sacred time in which the Church recalls Christ’s death and burial in the tomb. We place ourselves with those first disciples of Christ, wondering what the future holds for them now that Christ has died. It is a time of cold and dark. And then, with the spark of new light, a new fire erupts, signalling a return of warmth and light. This is why the great Vigil of Easter begins — not like a regular Mass — but with the Service of Light, sometimes referred to as the Lucernarium. Today, the service is quite streamlined. People gather in darkness outside the church where the makings of a new fire have been prepared. When everything is ready, the bishop or priest who is presiding directs that the fire be lighted. After blessing the New Fire, the presider prepares the candle by inserting five grains of incense in the form of a cross into the wax; more about that later. He also inscribes the four digits of the current year, reminding all that Christ is the Beginning and the End (the Alpha and the Omega), including our own time. Finally he lights the Candle from the New Fire and entrusts the Candle to the deacon. The deacon then leads the assembly into the darkened church, stopping at the entrance to the church to proclaim, “Christ, our Light”, at which point people begin to light their own individual candles (representing the candle received at baptism). The deacon continues to the middle of the church where he stops and again intones, “Christ, our Light” and the process of candle-lighting continues. Finally, for the third and last time, the deacon reaches the front of the church and intones “Christ, our Light” for the last time. He places the Candle in its stand “near the ambo” and awaits the arrival in the sanctuary of the presider and other ministers. 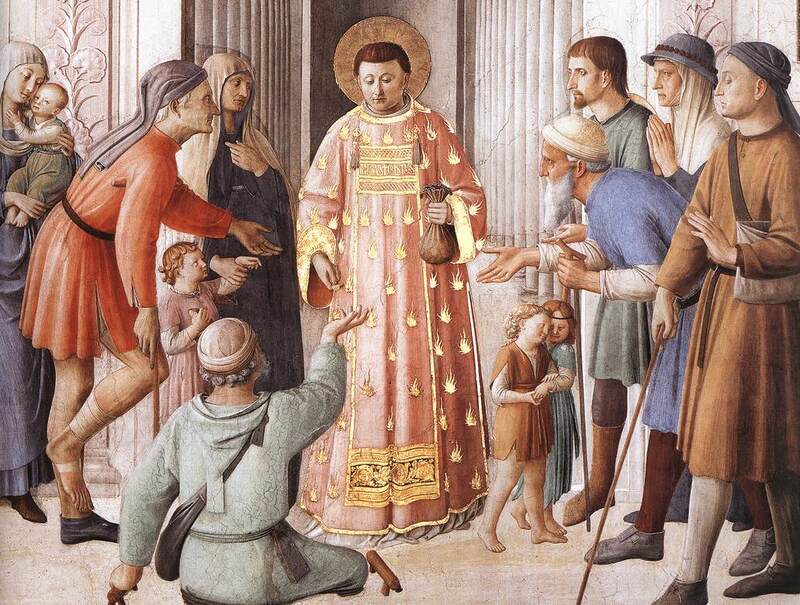 The deacon requests and receives a blessing from the presider, and then moves back to the Candle, where he incenses the Candle and intones the Exsultet. When that is complete, the deacon returns to his place next to the presider. Then begins the extensive Liturgy of the Word, followed by the Celebration of Initiation and finally, the Liturgy of the Eucharist. That’s the rite in a nutshell. As many people have noticed, there is a clear and rich responsibility given to the deacon for the care and the meaning of the Candle itself. As we look more closely, there are very deliberate reasons for this, and they revolve around Christ: the Cross, the Candle, and the Gospel. In Polycarp’s writing, there is no mention of bishops; presbyters were the senior clergy. Notice that, in this instance, presbyters are associated with God the Father and the deacons, again, with Christ. Why have I reviewed the history of this association of the ministry of deacons with the ministry of Christ? Quite simply, because the history of the association of the deacon with the Candle goes back to this same period. 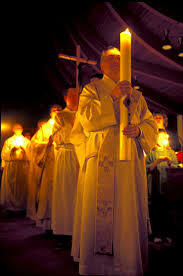 The minister most often associated with Christ in this literature is the deacon; for this reason, the deacon is entrusted with the great sign of the risen Christ: the Easter Candle. In fact, in many early liturgical texts, and even some into the early 20th Century, it is the Deacon who actually blesses the Candle and inserts the grains of incense. 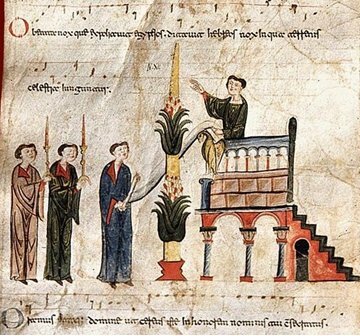 Although now done by the bishop or presbyter presiding, in many locations the ancient practice had the Deacon preparing, blessing and lighting the Paschal Candle. It is significant that the grains of incense were to placed — as they still are — in the sign of the Cross: the Candle itself becomes a sign of the Cross of Christ, bringing light into the world’s darkness. Another interesting connection occurs during the blessing of the water to be used for baptism during the Easter Vigil. For centuries, it was the Deacon who would take up the Paschal Candle and lower it into the water while the bishop prays: “May the power of the Holy Spirit, O Lord, we pray, come down through your Son into the fullness of this font, so that all who have been buried with Christ by Baptism into death may rise again to life with him. 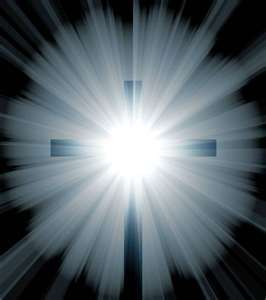 Who lives and reigns with you in the unity of the Holy Spirit, one God, for ever and ever. Amen.” While current rubrics no longer require that it be the deacon who does this, many deacons still carry this out at the request of the presider. Again we see a clear connection in the Tradition between Christ, the Cross, the Gospel, and the deacon. Another related ancient association is between the deacon and proclamation of the Gospel. From these same sources we find a further association between the proclamation of the Gospel and, in particular, the proclamation of the Exsultet. 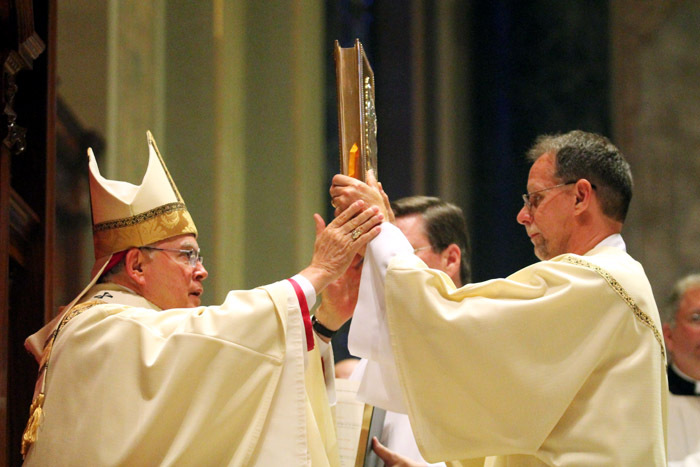 Our contemporary rubrics for the Easter Vigil continue to make this connection. 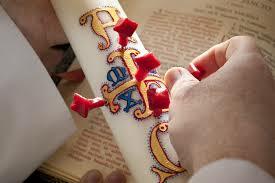 1) The rubrics of the Third Edition of the Roman Missal direct that the deacon “places the paschal candle on a large candlestand prepared next to the ambo or in the middle of the sanctuary” (#17). 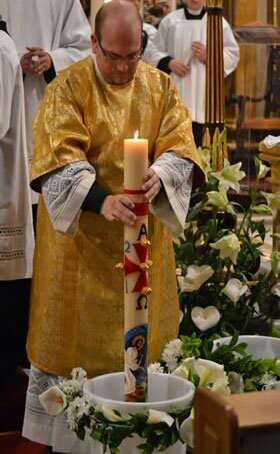 Given the history of the rite, the preference for placing the Candle near the ambo from which the deacon will later proclaim the Gospel is understandable. In some of the early texts, the Candle is placed near the ambo for two reasons: to provide the sacred light of Christ to permit the deacon to see the Gospel text, as well as to associate Christ, our Light, with his Gospel. As the current General Instruction teaches, “When the Sacred Scriptures are read in the Church, God himself speaks to his people, and Christ, present in his own word, proclaims the Gospel. . .”(GIRM #29). Finally, the rites address the use of incense in both cases. Just as the deacon will often incense the Book of the Gospels before proclaiming the Gospel, so too does he incense the Candle before beginning the proclamation of the Exsultet. The parallels between Christ, the Cross and the Gospel could not be clearer, both in the historical Tradition as we as contemporary practice. Lastly, we should consider the text of the Exsultet itself. The message of the Exsultet for the Easter people is nothing less than a joy-filled proclamation of the Gospel of Christ. All of creation is called to rejoice at the end of “gloom and darkness.” This is the night, we hear repeatedly, that everything has changed through the power of Christ. In its most powerful passage, we are told that this is the night that “dispels wickedness, washes faults away, restores innocence to the fallen, and joy to mourners, drives out hatred, fosters concord, and brings down the mighty.” In short, the great Easter Proclamation is a shout of unrestrained joy over the Good News of our God. It is, in a very special way, the Gospel itself. It is the Deacon who has – from the charge received at ordination – a primary responsibility for the proclamation of that Gospel. Following the reforms of Holy Week begun by Pope Pius XII in 1955, an option has been given to have a minister other than the Deacon proclaim the Exsultet. I would suggest that a primary and original reason for this option, especially in those days prior to the Second Vatican Council, was the overall absence of deacons in the Latin Church; therefore, other provisions had to be made. However, post-Conciliar editions of the General Instruction and the rubrics have returned the primary responsibility for the Exsultet and its surrounding rites to the Deacon. Notice the way the current rubrics read: “The Easter Proclamation may be made, in the absence of a deacon, by the priest himself or by another concelebrating priest. If, however, because of necessity, a lay cantor sings the Proclamation. . . ,” adjustments are then made to the text accordingly (#19). Clearly the mind of the Church is that Proclamation is the responsibility of the ordained and, in particular, the deacon, paralleling his responsibility for the Gospel. Just as in the case of the Gospel, it is only in the absence of the deacon that a priest is to proclaim the Gospel. In a similar way here, it is only in the absence of the deacon that a priest is to proclaim the Exsultet. The only difference is that, in the case of some unspecified necessity in the absence of the deacon, a lay cantor may proclaim a modified form of the Exsultet. So we return to the basic questions which began this reflection. 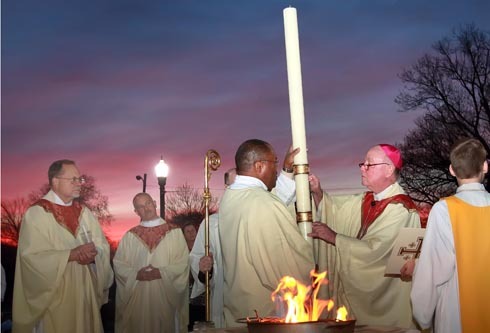 If the Service of Light at the Easter Vigil were simply a matter of choral performance, the answers would be simple. However, as we have seen, there is much more to the history and theology of this part of the Vigil than performance alone. After all, there are other parts of our sacramental celebrations that might easily be “performed” better by another. For example, a trained actor might bring much to the solemn Eucharistic Prayer at Mass, but we rightly insist that only a priest do so BECAUSE THERE IS MUCH MORE INVOLVED in the Eucharistic Prayer than “performance” alone. It seems the same applies to the Service of Light, culminating with the Exsultet: there is more to its proclamation than performance considerations alone. Perhaps creative ways are necessary to assist the deacon in this task, or alternative musical settings might be made available. Ultimately, of course, the decision of who will chant the Exsultet rests as it should with the pastor. 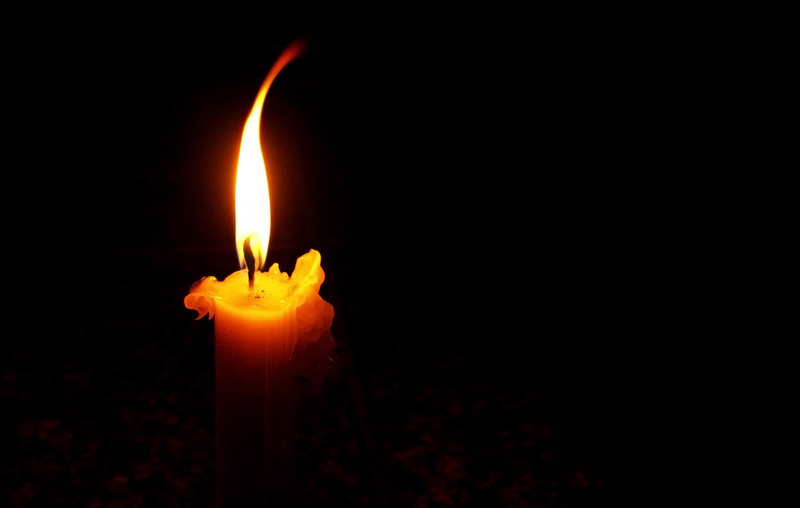 However, the significant connections between the Candle, the Cross, the Gospel and the deacon should not easily be overlooked or set aside.